Small, narrow mouth bottle with cork stopper. Holds approx. 1ml. 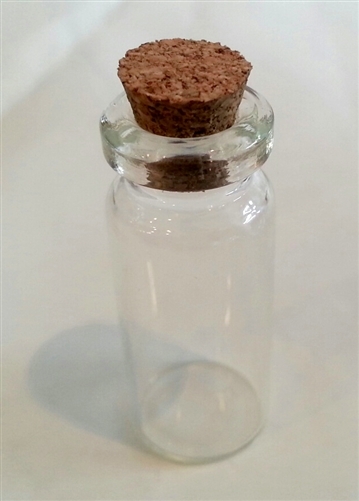 Measures 23mm (7/8") Tall (without cork), 12.5mm (1/2") diameter.